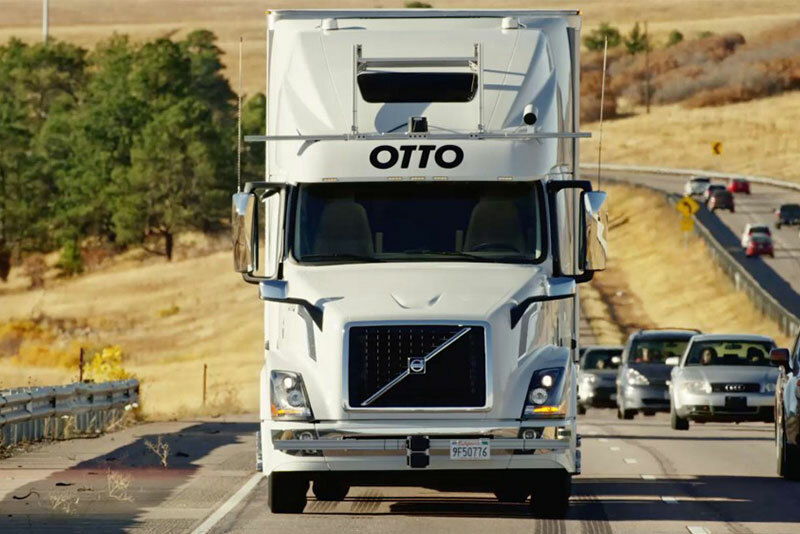 Autonomous truck startup Otto, which was acquired by Uber, has already developed and tested a self-driving truck on a Colorado highway. Written by Tom Mayor, national strategy leader for consulting firm KPMG’s Industrial Manufacturing practice, and Todd Dubner, a principal in KPMG’s Strategy practice. This is one in a series of periodic guest columns by industry thought leaders. Stop and think for a moment: How do you program a Class 8 truck to drive down the interstate? How do you go from there to instructing it to maneuver a 53-foot trailer in an urban area? How many millions or perhaps billions of lines of computer code would be required to figure out all the decisions necessary to make these day-to-day driving functions successful in an autonomous vehicle? It turns out, it may not be traditional lines of code at all, but rather a very different construct already being applied to recognize your friends in Facebook and decipher your language in Google, Alexa, Siri, Cortana and others. Thanks to an advanced form of artificial intelligence, deep learning, which once seemed impossible, is becoming increasingly possible as the automotive and trucking worlds are speeding down the road to fully autonomous vehicles. Deep learning is the critical enabler of the self-driving truck vision because it helps software engineers build a vehicle that can essentially think on its feet – or wheels – without human intervention. But how? Deep learning systems for vehicles operate at the fleet or manufacturer level, where they can collect and analyze data from billions of miles traveled by individual vehicles. The system is initially programmed with rules of the road, then “trained” in the IT lab or data center with tens of thousands of hours of traffic video that teach it to recognize signage and the on-road behaviors of vehicles, humans, animals or other items it may encounter. Only then is it released to the road for that “classroom training” to be refined by observation of a few million miles with human test drivers. Once a safe, reliable “neural net” is developed, it is loaded into the vehicle. The benefit, however, is the collective wisdom of all the driven miles that have come before it, rather than the inexperience of a rookie trucker. Each time a vehicle in the fleet encounters something new – an unmapped construction zone, an unexpected driving behavior, an unanticipated action by a car, pedestrian or animal – it uploads that new experience to the fleet’s deep learning system. The system captures and analyzes hundreds of millions – and ultimately billions – of miles, and as it learns, tests and validates the new neural net, it releases updates to the driving program back to the fleet. KPMG’s automotive practice anticipates that as early as 2030, a new mobility services segment will emerge worth well over $1 trillion for products and services related to autonomy, mobility and connectivity. According to KPMG’s 2017 Global Automotive Executive Study, which polled nearly 1,000 executives with the world’s leading automotive companies, a whopping 76 percent say just one connected vehicle generates more revenue streams than 10 conventional vehicles. We are beginning to see the early impacts of these changes in the parcel services sector today. Following the success of Uber – which today can get a car to 67 percent of the U.S. population within 10 minutes – Amazon launched its Amazon-Flex application, which opens last-mile parcel delivery to everyday vehicle owners as a similar transportation service on-demand. In conjunction with an expanding footprint of regional distribution centers and a growing fleet of Prime-Air freighters, Amazon promises to change the parcel delivery game by lowering delivery costs while simultaneously enabling same-day delivery in major metro markets. In long-haul trucking, the potential may be even more profound. Early pilots by Daimler, Uber’s Otto and others have demonstrated the feasibility of fully autonomous, on-highway operation and offer the potential to safely open four to six productive, on-road travel hours a day during which today’s two-driver rigs are parked for crew rest – often while idling and burning fuel to maintain cabin air conditioning or heat. 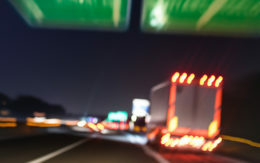 Platooning experiments by others such as Peloton are reporting on-highway fuel savings of 7 to 14 percent with vehicle-to-vehicle communications systems that allow tightly contained, digitally connected packs of two to five trucks to drive in formation controlled by a “captain” in the cab of the front vehicle. These are giant levers of profitability, with driver wages and fuel cost currently accounting for 65 percent of operating cost per mile. The economic and societal potential is fantastic and will likely reshape the trucking and logistics industries. Higher rig utilizations and reduced on-highway fuel consumption will erode some of today’s rail and intermodal cost advantages and in so doing offer more time-critical loads to the trucking industry. New, lower-cost last-mile options will create additional home and small-office delivery markets. Already, in some global markets, KPMG is seeing reduced personal vehicle transit for shopping missions in favor of home delivery. A lot of change is coming. First movers will likely apply cost and speed advantages to grow share from late adopters. Success (or even survival) for trucking and logistics players requires a clear view of the direction the market will evolve to; a broad understanding of technology options; thoughtfulness around changes to go-to-market and organizational structures; active engagement with potential new partners or acquisition candidates; and a focus on applying new technologies or business models to create an engine for sustained growth. To make it through the transformative journey that will be occurring across the freight and logistics industries in the next few years, leaders will need to circumvent roadblocks, take detours and endure a long haul. But the destination will be well worth the journey, with faster shipments, safer roads, cleaner air and more profits at the end. Carpe Diem. Editor’s note: Tom Mayor is the national strategy leader for KPMG’s Industrial Manufacturing practice. He holds an MBA from Dartmouth College’s Tuck School of Business and focuses on supply and manufacturing strategy, operations turnaround, purchasing and supply base management, with a focus on automotive, aerospace and industrial clients. Todd Dubner is a principal in KPMG’s Strategy Practice and holds an MBA in finance from Columbia Business School. He has over 25 years of experience in strategy and corporate leadership and currently primarily serves the automotive industry, consulting to passenger and commercial vehicle OEM’s. Well, the autonomous trucks are pretty far from now because of the legal battle of Uber and Waymo. Seems that now the uber for trucks apps like doft or uber freight can make a scene.